Can we remember situations in our life where we denied childhood emotions we were having? 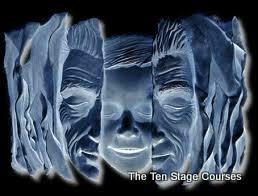 On arrival at The Ten Stages Course we have often never considered fully feeling any painful emotions like loss, betrayal, disappointment, regret, sadness, or anger all we ever wanted was to be happy. What we didn’t realise, was that this is a maladaptive coping mechanism in order to not deal with the uncomfortable emotions that come with growing up. Somewhere along the way, primarily in our childhood, We picked up the message that it wasn’t safe to feel. That we are safe, secure and loved when we were perfectly happy, and that this made everyone around us happy too. As a result, we had some well hidden ghosts. When we aren’t allowed to grieve and feel our emotions, they get stuck in our body — in our Being. Emotions are energy in motion, E + motion. They want to be released — otherwise they get stored and fester creating problems later in adult life. We have an emotional child withins body just like we have a physical body, and when one of them is displaced our whole energy system is lost. As a result, these subconscious memories of our childhood will dictate the frequency we create our life from. Think about this, if we are cutting ourselves off from a valid part of the human experience, aren’t we in a way saying we don’t completely accept ourselves? That we don’t accept who we are, childhood and all? We can better align with a frequency of recovery and create with more ease and flow when we accept and nurture all parts of ourselves. we start doing this by contacting our child hidden within instead of using our head when we feel a strong emotion. We allowed the emotion space and we even fall apart from time to time. We can ask ourself a series of grounding questions like “Where do I feel this?” “How old do I feel?” we are careful not to shame ourself about having our childhood emotions. we can lovingly nurture ourself, instead of dissociating to someone else to do it; and we would say “It’s okay to feel this, we are a child within.” And when we are done feeling whatever it was that was coming up for us, immediately we feel lighter, and more WHOLE! Releasing trapped emotions from our child within from years past is a detox for our emotional body. Feeling the uncomfortable emotions is never as bad as our adult head had built it up to be, in fact the emotions moved through us much quicker than we had ever anticipated. We don’t have to react from our childhood emotions. It’s actually better not to; but we can honour them, use them as our guides, and give them space so they don’t get trapped and show up as toxic behaviours like addiction, projection, shame and lack of self trust. Using deep contact with our child within is a great way to stay focused, keep our monkey mind at bay and develop new neural pathways to our intuitive voice; but they only work on the rational and logical level. If you are using them at the expense of other parts of our child within that are asking to be heard we are possibly be blocking our doorway into the healing intuitive voice. 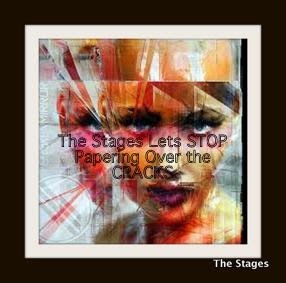 Fellow Stagers know this: We are dynamic, multidimensional beings and we need to feel to recover our child within! Then we can go out into the world and share all that recovery we have just given to ourself. Labels: Can we remember situations in our life where we denied childhood emotions we were having?